This family protocol summary is intended to provide a general overview of the Children’s Oncology Group study # AEWS0331. It will provide information about the children that are eligible for this study and basic information regarding the specifics of the study. The informed consent and protocol contain the full details of the study. Those documents are available to you from your oncologist. Trial Opening Date: Opened July 28, 2003. 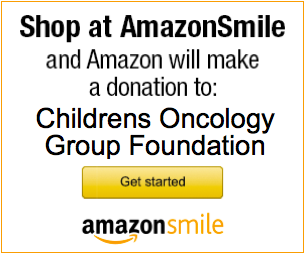 Approximately 326 patients will be accepted into the Children’s Oncology Group or the European Group Study. Patient Age: Must be under the age of 50 years at the time of diagnosis. For patients with initial diagnosis of Ewing’s Sarcoma with isolated pleural or pulmonary metastases. Ewing sarcoma is a cancerous tumor that forms in the bone or soft connective tissues. These tumors spread quickly to other areas of the body including the lungs. Ewing sarcoma is always fatal without treatment. This study is being carried out by the Children’s Oncology Group (COG). 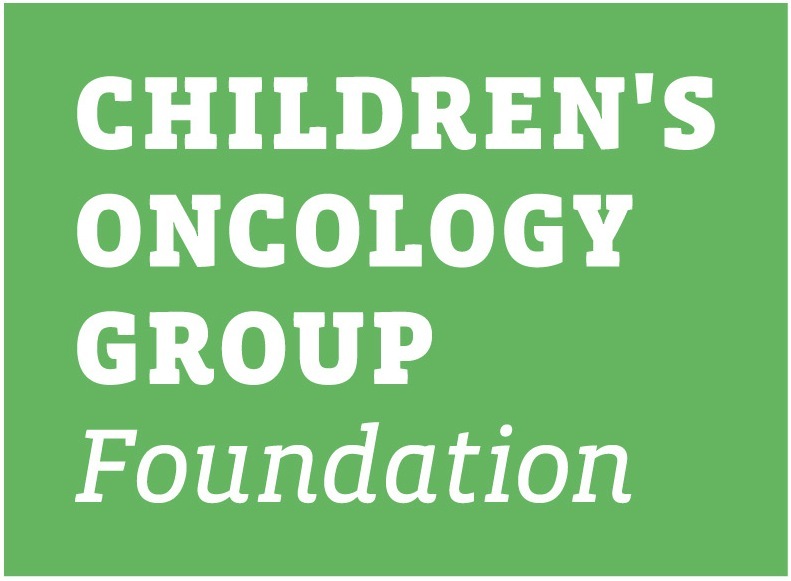 The COG is an international research group that consists of more than 200 hospitals that treat children with cancer in the United States, Canada, Australia, and Switzerland. The COG is joining with several European cooperative groups for this study (Euro E.W.I.N.G – 99). The overall goal of the study is to improve the outcome of patients with Ewing sarcoma. The COG patients will participate on only one treatment arm of the study, since there are too few patients each year within the COG to answer the study question about the best method of treating Ewing sarcoma patients who already have a lung or pleural metastasis at the time of diagnosis. For COG patients, to compare survival in a randomized study of standard drug therapy and whole lung irradiation versus high dose, intense drug therapy followed by replacement of peripheral blood stem cells (transplant). Some of the patients in the European Cooperative Groups will also participate in this part of the study. Randomization means that the treatment to which a patient is assigned is based on chance. It is like a flip of a coin. A computer does this assignment. Neither the patient nor the researcher chooses which group a patient will be in. A patient will have an equal chance of being placed in either group. Stem cells are the cells that create new blood cells, such as red blood cells, white blood cells, and platelets. They can be found in the peripheral blood (bloodstream) or the soft tissue of the bone, called the bone marrow. The standard treatment for patients with Ewing sarcoma with disease that has spread to the lungs or pleura is standard dose chemotherapy and whole lung radiation therapy. It is possible that more intense chemotherapy, using high doses of standard chemotherapy drugs may improve the outcome (survival) for these patients. However, the side effects (side effects are unintended results of treatment) of using both whole lung radiation therapy and high dose chemotherapy would be too much to combine these treatments. Another goal for this study is to see if there is genetic information in the tumor cells that may help researchers predict how a patient will respond to therapy. The study will also look to see if there are any microscopic disease cells left in the bone marrow after treatment and to find out if this has any effect on the outcome of the treatment. As part of this study, a central committee of pathologists (doctors who specialize in looking at tumors with a microscope) will review tumor samples from your (child’s) tumor at diagnosis and at surgery if surgery is done. No additional samples will be needed for this review. Your (child’s) name will not be used on the samples, only a COG identifying number. These samples will be destroyed once they have been analyzed by the AEWS0331 committee of pathologists. If you also enroll (allow your child to be enrolled) on a COG Ewing sarcoma specimen collection study, we will look at the biological characteristics of the tumor tissue, bone marrow and blood stem cells collected during your (child’s) diagnosis and treatment procedures to see if there is genetic information in the tumor cells, bone marrow, or blood stem cells that may help researchers predict how patients will respond to therapy. We also want to know if at the time of surgery there may be microscopic residual tumor cells in the bone marrow, and whether this means the disease will return (recur). The results of these research studies will not directly affect decisions made regarding therapy for you (your child) therefore the results of these studies will not become part of your health records. It is hoped that this information may lead to a better understanding of Ewing sarcoma. Enrollment on a COG Ewing sarcoma specimen collection study is optional but strongly encouraged. All patients will receive 6 courses of standard chemotherapy. Each patient will receive with Vincristine, Ifosfamide, Doxorubicin and Etoposide (VIDE). Each course is given every 21 days or when the person recovers from the side effects, whichever comes last. After the initial six courses of chemotherapy, surgery will be done if possible to remove the primary tumor. This decision will be made by your treating doctors and will depend on where the tumor is located. Your doctors will discuss the surgical procedure and all its risks with you at the time the decision is made to do surgery. If your doctor decides that it is in your best interest to have radiation therapy prior to surgery and your tumor is in the chest, spine or pelvis, you will not be eligible to receive the experimental high-dose treatment; instead, you will receive the standard dose chemotherapy and whole lung radiation therapy. If you are not eligible to receive the highdose treatment with stem cell transplant, the stem cells collected after courses 3 and/or 4 will be stored and used at a later time if you need to have more therapy. All patients will receive course 7 that includes Vincristine, Actinomycin D and Ifosfamide. Those patients randomized to receive standard chemotherapy and radiation therapy to the lung will repeat these three drugs for courses 8-14. After completion of therapy with VAI, these patients will also receive whole lung radiation therapy. However, those patients randomized to receive experimental therapy with high dose chemotherapy and peripheral blood stem cell transplant will receive busulfan, melphalan and clonazepam are given in the 7 days before the stem cell infusion. This course begins after course 7 of the standard therapy (VAI). Chemotherapy agents are drugs that, in addition to killing tumor cells, can damage normal tissue. These drugs, however, have been in use long enough so that severe problems can usually be avoided. Side effects are usually reversible when medication is stopped but occasionally can persist and cause serious complications or death. In addition, when chemotherapy drugs are combined the side effects can be increased. Therapy with Vincristine and Actinomycin-D has been associated with a small risk of the development of a potentially life-threatening condition called veno-occlusive disease of the liver (VOD). A preferred and more general name is hepatopathy, which means liver damage. Hepatopathy is characterized by elevation of liver enzymes (detected by blood tests), yellow skin (jaundice), tenderness in the abdomen where the liver is located, and weight gain or swelling. There is not a specific treatment for hepatopathy at this time, other than supportive care measures. These may include intravenous fluids, medicines to alter abnormal blood clotting tests, and transfusion of red blood cells and/or platelets. If you experience hepatopathy at any time during treatment, the chemotherapy that you receive may be reduced or changed; if substitute drugs are recommended, information about these drugs will be provided by your physician. Finally, a few patients who survive cancer develop a second form of cancer. This study is using well known standard chemotherapy drugs in a way that is new, and, therefore, other presently unknown side effects may develop. You will be watched closely and the drugs will be stopped if serious side effects develop.